What Kind of Vehicle Can You Ride In? By checking this box, I understand that registration is voluntary, and that the above information is correct. I acknowledge assistance will be provided during the term of the emergency, and that alternate care arrangements should be made in advance in case I am not able to return to my home. 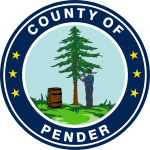 I grant permission for Pender County and its agencies to share this information with other providers to respond to my needs during an emergency. This information will only be used for emergency planning.